Cheryl is back from Tenn. with another load of GREAT GOODIES. LOVE the mirror ! Wonderful lamp and window.... WOW ! Sweet little furry visitors surprised me this morning . I had to sneak up quietly to snap this picture before they scattered. Guess the mommy liked my quiet spot too ! I am so EXCITED.....I now have my own little Quiet Space ! With moving above the Shop I had nowhere to go outdoors to curl up with a good book. Hugh hung a swing for me on the Shop side loading dock. It is protected from the rain so I can sit and enjoy the rain or the night sky....My own little slice of HEAVEN ! Lots of goodies to help CELEBRATE the 4th ! New Americana treasures have arrived. USA We Salute You , It is GREAT to be an American !!!!! 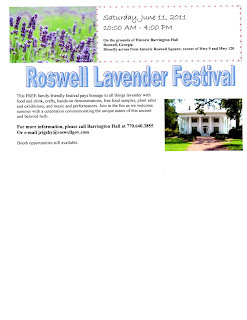 What a WONDERFUL time we had at the Roswell Lavender Festival... So many friends came out to see us ! We meet lots of delightful lavender lovers. 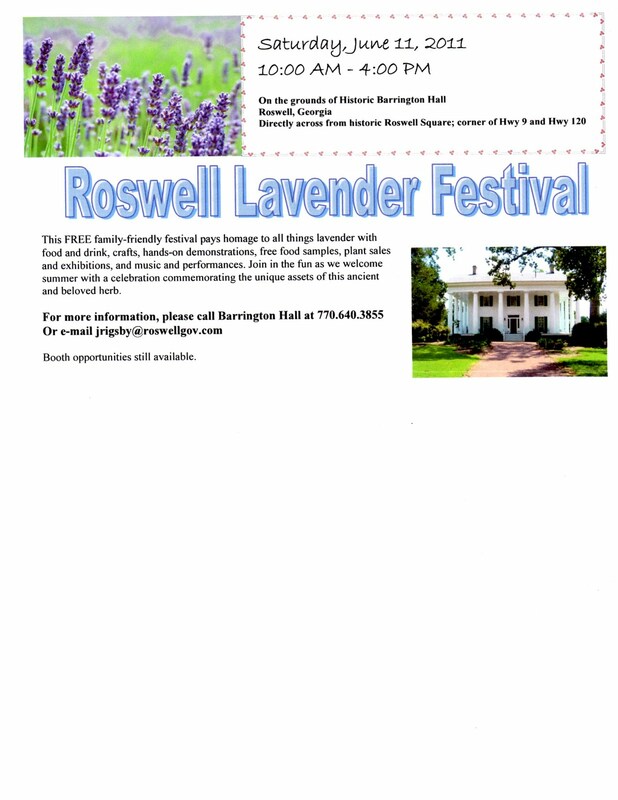 Thank You Barrington Hall for having such a fun event...The gardens were AMAZING !